Patrol Officer William Riley Mullins, Jr.
Patrol Officer William Mullins was shot and killed by a DUI suspect after a brief chase. Officer Mullins had been notified via his radio to be on the lookout for an intoxicated driver arriving into Yorktown from Cuero. He stopped the vehicle and was checking the license and registration and had returned to his cruiser to call for backup when the suspect sped away. Officer Mullins chased him to his residence on State Highway 119, where Officer Mullins notified dispatch that he needed backup transport for the suspect to the Cuero County Jail. In the meantime, Officer Mullins exited his vehicle to speak to a relative of the suspect and as both approached the suspect, the suspect opened fire, striking Officer Mullins in the head and chest. The backup unit arrived and found Officer Mullins on the ground and immediately called for an ambulance and assistance. 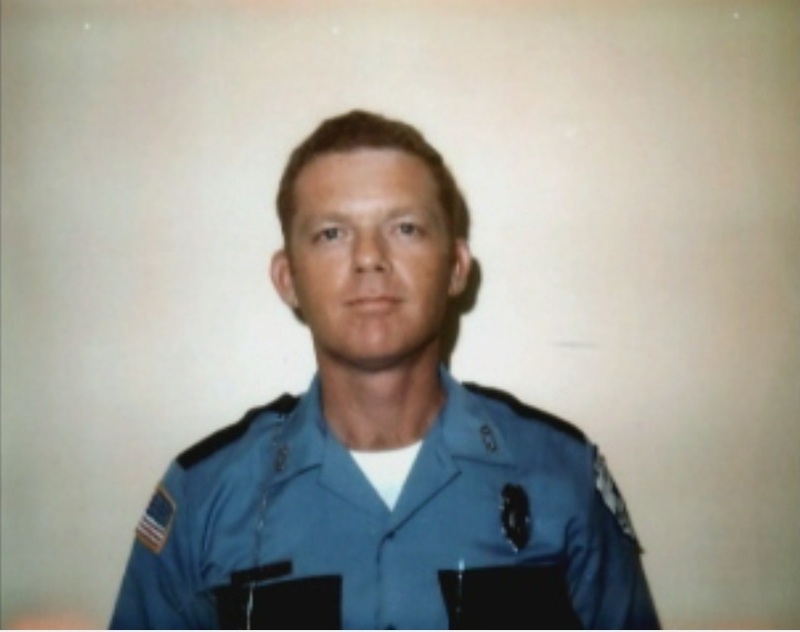 Officer Mullins was transported to the Yorktown Memorial Hospital where he died that evening. The suspect was apprehended at the scene. He was originally sentenced to death but the sentence was commuted to life in prison after appeal. Officer Mullins had served with the Yorktown Police Department for only three months and had previously served with the Fort Bend County Sheriff's Office for three years. He was a U.S. Air Force veteran. He was survived by his wife, five children, parents, and three siblings.